UK Focus: On and Off Trade<br /> The cellar has been built in compliance with the latest technological requirements. Following the gentle processing of grapes, steel tanks are used for controlled winemaking carried out with the help of reductive technology. The best selected raw materials, after the 12-hour soaking on skin, are, in accordance with the traditions, fermented in 500-l oak barrels and mellowed for 8 to 10 months. The stainless steel tanks have a capacity of 9,000 hl and out of this, 4,200 hl can be cooled. In the rest area there are 60 Hungarian barrique barrels. Somló is a 832 hectare wine region in the Veszprém and Vas counties, in the North-West of Hungary. Most of the region is situated on the slopes of an extinct volcano, crowned by the ruins of an 11th-century castle, overlooking the plain. 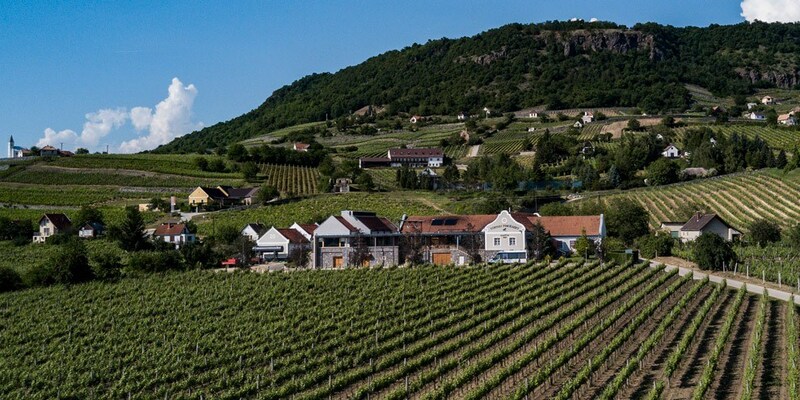 The wines of Somló, exclusively white, are made out of the grape varieties like Hárslevelű, Furmint, Juhfark, Olaszrizling and Furmint.